There is a simpler way to predict if two atoms will transfer their electrons or share their electron in pairs making a compound. In Corwin’s 7th edition skip back to Sections 12.6 and 12.7. Read about the Pauling’s Scale of Electronegativity. 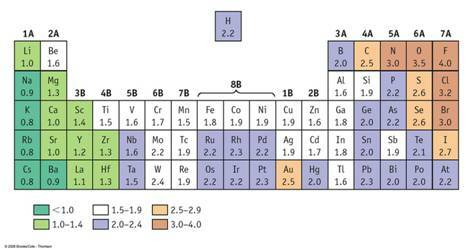 Corwin Figure 12.9 shows the electronegativity of each element on the periodic chart. 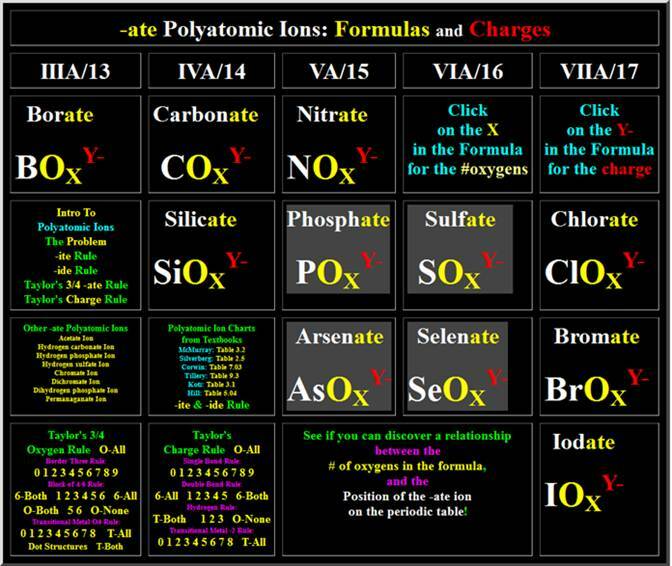 This table will be needed in Module Four Part II Bond Polarity. In Hein’s 14th edition, read section 11.6 about electronegativity. If the difference in electronegativity between two atoms is greater than 1.8 (Corwin), the electrons will transfer from one atom to the other to make ions and Ionic Compounds. Ionic (sometimes called Electrovalent) Compounds are also called salts and in nature they are called minerals and in Sports medicine Body Electrolytes. We will over simplify this concept to say if a metal meets a nonmetal ionic bonds are formed (Just a Rule of Thumb)(if a table of electronegativity is not included). Hein (14th) states on page 227 if the difference in electronegativity is greater than 2.0 the bonding is strongly ionic, while less than 1.5 strongly covalent. Then he states between 1.7-1.9 the bonding will be more ionic than covalent. For this course, if the difference between the electronegativity of two atoms is less than 1.7 then the two atoms will share electrons in pairs. Two types of sharing bonds are formed. Metallic and Covalent. ). In a more quantum-mechanical view, the conduction electrons divide their density equally over all atoms that function as neutral (non-charged) entities. Metallic bonding accounts for many physical properties of metals, such as strength, ductility, thermal and electrical resistivity and conductivity, opacity, and luster. 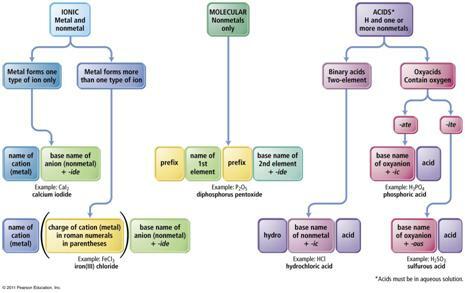 Binary Molecular compounds are explained after the ionic compounds in Corwin (7th) Chapter 6 section 6.7, and inorganic acids are not covered until last in the chapter, sections 6.8 and 6.9 (Corwin 7th. Hein includes Binary Molecular at the end of section 6.4 (Page 108 14th) covering all Binary Compounds first ionic, then molecular. 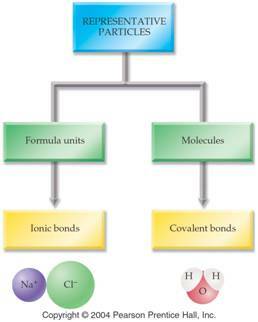 Both elements are nonmetals attached by covalent bonds. These bonds may be single, double, or triple covalent. Due to the covalent bonding there are many ratios of the same two elements making many different compounds. For this reason, the chemist states how many atoms of each element is present in the chemical formula in the formal name of the compound. The element that is shown first in the chemical formula is written first using the proper prefix to indicate how may atoms of that element is contained in the compound. If there is only one atom of that element it is often found without the prefix mono. If you leave the prefix off then it is understood that you mean mono. The element which is written second in the chemical formula is written second in the chemical name, but in addition to the prefix indicating how many, the suffix of the element’s name is changed to -ide. We use common names for NH3, and H2O. What would be their correct binary molecular names? Methane, CH4, is the organic name for CH4, what would its inorganic name be? For more practice on Corwin page 185 try problems 45 thru 48 for binary nonmetal compounds. 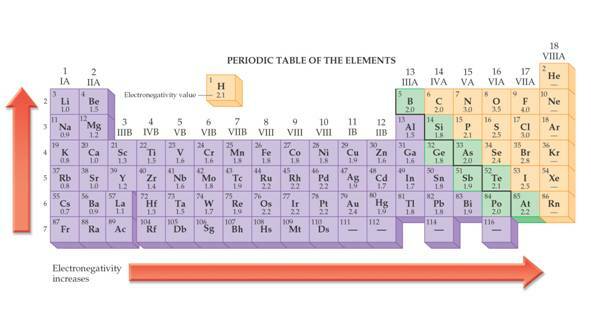 The element written first in either the name or the formula is a metal. The element written second is a nonmetal. Salts are metallic and nonmetallic ionic compounds. There are no molecules of salts-just macro ionic lattices. Name the metallic element. If the metallic element has more than one ionic state, write a ROMAN NUMERAL after the element’s name (In Parathesis) to indicate which charge state the metallic element is using to form the compound. (exceptions: cyanide & hydroxide which are polyatomic ions). No prefixes are used to indicate how many atoms are present in the formula. (c ) Find the L.C.M. (Least common multiple) of the positive and negative charge. The LCM is the smallest number that both charges will decide into evenly. The LCM is the total electrons transferred. Therefore, it represents the total positive charge created by the metallic ions and the total negative charge created by the nonmetallic ions. This may be proved by drawing the dot structure of the compound showing all electrons transferred. (d (d) Divide the LCM by the positive charge, this dividend will represent the subscript behind the metallic ion in the formula. (e) Divide the LCM by the negative charge, this dividend will represent the number of nonmetallic ions in the formula. In addition to working the sample tests, you may want to practice on writing the names and formulas for Ionic Compounds. You should practice Questions #19-#34 at the end of Chapter 6 (Corwin 7th) for more practice. 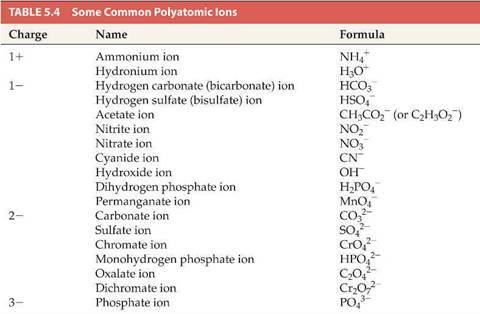 Almost all chemistry textbooks have sections dedicated to polyatomic ions and include a list of common ions. A group of atoms bound together (covalent bonds) that bears an overall negative or positive charge. After you start memorizing, during the course the formulas may be swimming in you head and the charges too. To write balance Ternary Ionic Compounds, you must be able to write the formula and the charge of each polyatomic ion required. Corwin suggests there is only one (Hill has two) common polyatomic Cation(s) and both end in –ium suffix. 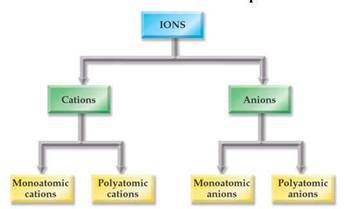 He notes most of the Anions have an –ate suffix, while a few have –ite, and two have –ide in their name. How do we accomplish this list? 4. What does –ite mean? 6. What are the two –ide polyatomic ions and two -ium positive Anions? 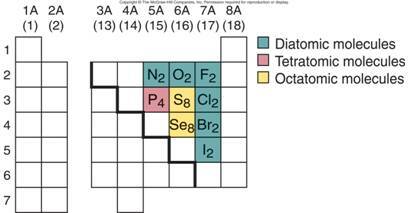 When you go to the siute above (which looks like the image below), click on the X for each polyatomic ion and note if the # of oxygens is three or four in the formula. To expose the threes and the fours in the lower left hand corner (Taylor’s ¾ rule) click the numbers 0,1…8,9 Border three rule, then 1,2..5,6 in the box of six rule. Also do the 0,1…7,8 Transitional O4 Rule. Then do the same for the box just to the right of Taylor’s ¾ Rule, and discover Taylor’s Charge Rule. Now comes the big task! 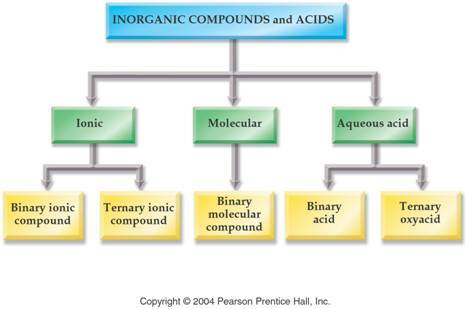 In chemistry, a ternary compound is a compound containing three different elements. An example of this is sodium phosphate, Na3PO4. The sodium ion has a charge of 1+ and the phosphate ion has a charge of 3-. 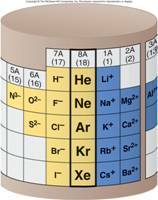 Therefore, three sodium ions are needed to balance the charge of one phosphate ion. Another example of a ternary compound is calcium carbonate . In naming and writing the formulae for ternary compounds, we follow rules that are similar to binary compounds.(CaCO3). A substance that releases hydrogen ions (H+) when dissolved in water. Inorganic formulas of acids have ionizable hydrogen(s) written first in the formula. less than 5% in a water solution. On Corwin 7th page 185 Questions 49-56 will give you more practice on writing names and formulas of acids. 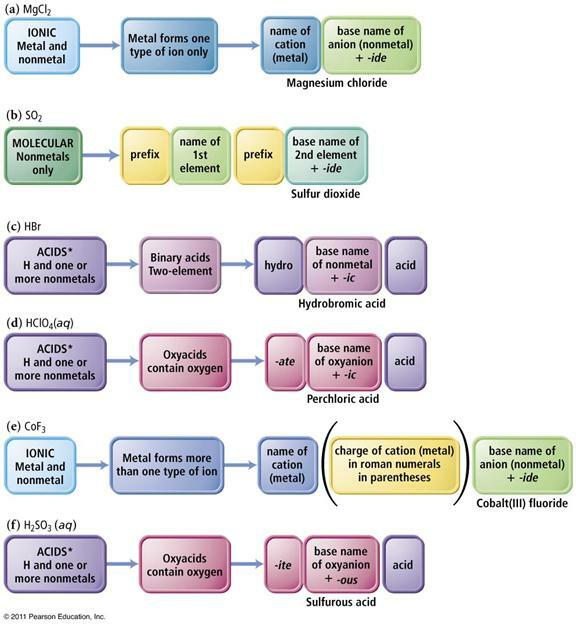 At the end of chapter 6 Hein 14th exercises 17, 18, 19, and 20 pages 116-117 are additional acid nomenclature problems. The key to deciding which system to use in Part H is to look at the element written first. 1. If a Metal is written first (or a polyatomic ion), then use the rules for ionic compounds (salts). 2. If a nonmetal is written first, then use the Covalent/Molecule System with prefixes. (If the compound is Organic Nomenclature of Organics is covered in Chapter 11, but for now use the prefix system of binary molecular nomenclature.